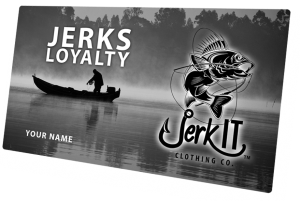 Returns – JERK IT CLOTHING CO. It is your responsibility to check the sizing charts provided on the product pages and to ensure your design is to your specifications before finalizing the order. If a particular item does not have a sizing chart then you may request one from orders@jerkitclothing.com. If you notice an issue with your order, please submit an email to orders@jerkitclothing.com with the subject line “Request Return for Order [your order number]”. Customers will be responsible for the cost of shipping items back to Jerk It Clothing Company. Exchanges can only be made once the items are received and confirmed undamaged by Jerk It Clothing Company.